Island-inspired Tommy Bahama eyeglasses eyewear will have you seeing paradise at every glance. 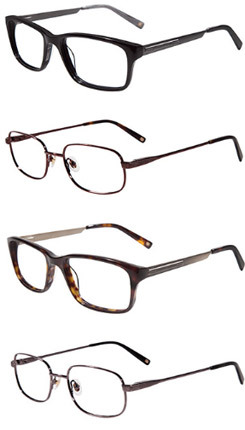 Featuring classic life-is-one-long-weekend styles in metal and plastic, Tommy Bahama eyeglasses eyewear offer comfort and style for work, play or, yes, even lounging. Tommy Bahama eyeglasses eyewear will have you seeing paradise at every glance. Nothing changes your attitude like changing your latitude, and no one captures the allure of sophisticated island living better than Tommy Bahama. Tommy Bahama eyewear designs transports the wearer to a place where the weekend never ends, and every sunrise is the dawn of a new adventure. The Tommy Bahama feeling can be found in the collection of men's and women's eyewear that blend vintage appeal with relaxed sophistication. Further your quest for paradise in a complete line of comfortable frames that captures the Tommy Bahama spirit in old world style craftsmanship. "I'm ready for the weekend"
like a pair of Tommy Bahama frames!